Fantastic drummer, his name is Leonard Stretching, but he´s known as Stretch. First I know about him is that he had been playing live with Marvin Gaye. A killer lineup for a great artist! More than 30 years later, a live album appeared, The loft tapes volume 1. After that, Clem leaves the band. 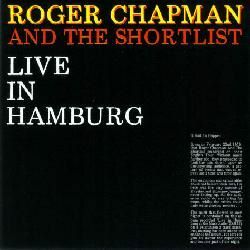 Next step was to record a live album, Live in Hamburg includes energetic renditions of The Rolling Stones ('Let's spend the night together'), Mickey Jupp ('Short list'), and the r'n'classic ´I keep forgettin´´. But Mel Collins leaves after the tour is over. Micky Moody guested with the band during the gigs in April 1980. Next album was Mail order magic, recorded with these musicians: Geoff Whitehorn (guitar), Jerome Rimson (bass), John Wetton (bass), Tim Hinkley (keyboards), Poli Palmer (keyboards), Les Binks (drums), John Halsey (drums), Mitch Mitchell (drums). As we can see, all of them played with Roger Chapman too. In January 1981, the band is augmented with another very valuable addition, Steve Simpson, probably the musician who has stayed more years playing with Roger. Poli Palmer rejoins Roger (from their times together in Family in early 70s), and new bassist is legendary Boz Burrell. The album in 1981 is Hyenas only laugh for fun. Recorded with Geoff Whitehorn (guitar), Steve Simpson (guitar), Jerome Rimson (bass), John Wetton (bass), Tim Hinkley (keyboards), Poli Palmer (keyboards), Nick Pentelow (sax), Stretch (drums), Alan Coulter (drums). A new double live album is released with this lineup. Called He was she was you was we was, it includes a cover of Jimi Hendrix's ´Stone free´. They stayed together until sometime in 1982. The band finally parted ways in 1984. Stretch also appears in some album by Rolf Harris, but I haven´t been able to know in which one. And I don´t know anything else about Stretch. Does anybody know if he finally retired from music? 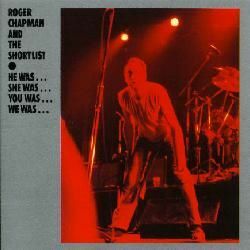 Comments: Recorded in Chapman´s first solo tour, at Manchester University in March 1979. My opinion: Fantastic! I love it from start to finish. Comments: Recorded live at Ronnie Scott´s Club in January 1983. Comments: Good news here! Almost 25 years later, a Hinkley's heroes album has been finally officialy released! It's called Volume one (I hope this means it will be followed by more volumes). The list of musicians appearing here is awesome. Attention to Joe Cocker appearing under the nickname Cow Chocker. 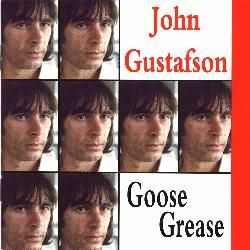 Comments: John Gustafson, apart from the singles he released in the sixties, only has a solo album, Goose grease. 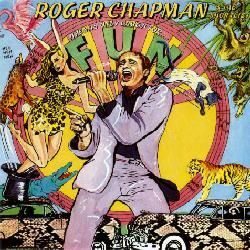 But the interesting story is that he recorded it in 1976, but remained unreleased until 1997, when it has been issued on CD, remastered by old fellow Ray Fenwick. My opinion: It's a very interesting album, quite funky. The performances are superb, especially Mark Warner (you just have to listen to him in the track 'Cheap Astrakhan', as well as the solos on 'Boogie woogie' or 'What's your game?'). B.J. Cole is also fantastic on 'Poem about a gnome' or 'Freshness'. As I've said, the album was recorded in 1976, at Ramport Studios, London. Thanks to splendid record label Angel Air, we've been lucky to be able to listen to it. Phillip Wayne Slaughter: for extensive info on Elkie Brooks live lineups. Albert Dufberg: for info on Mainsqueeze. Axel Reisenhofer: for info on Mainsqueeze. 01/February/2010 - Page added to the blog. 07/November/1999 - Original page written by me (in the old site). Tim Hinkley played in Vinegar Joe. With Elkie Brooks...and then as part of HER band. His name was /is Lionel Stretching? whats he been up to lately? His name is Leonard Scretching and I know him very well. Hi, Anonymous - thanks for your message. If you know him, I'd like to know what he's doing now, musically speaking. I'd like to get more info about his career, if there's a way for contacting him - please email me at molympus1@gmail.com if you can help with additional info. Thanks again. Sorry I was not around when you started your blog. Just thought I let you know that you have left out a large number of artists, & celebrities in music and film. But that’s Ok! Over the years there have been many seriously good contributions. I just wish I could do it all over again. I have been playing since I was 3 and turned pro when I was 6. Because of this I have worn some of the joints that help to make it all happen. Thanks to people like yourself, this will help others to gain something, even a chance to contact another fellow musician to see how he or she’s doing. I am ‘Stretch’ …I’m Well & Doing Fine!!! Hi, Stretch! Thanks for writing. It's 14 years since I first wrote my page on you, back in 1999, but I haven't been able to find credits about you since Mainsqueeze. I've been in contact with several of your past bandmates, and they all agree about how great you are. I'm also sure they'll like to know that you're well and doing fine. Again, if you wish to contact me privately, you can write me at molympus1@gmail.com. Of course, I haven't been able to cover so many great musicians, but I try to... if you take a look at my list of musicians to cover, I probably won't be able to cover 10% of them in my whole life. Some pages take me weeks to complete (and some others have taken me several months of research). I wish I could have more free time to dedicate to it, but all in all, I've covered more than 500 musicians (old and new website). And even if I'm slow, I keep on doing it. Thanks for all your music and best regards from Miguel (webmaster). Have to contribute a little here: I met Stretch in (I think) 1973, just after he'd finished touring Europe with the Curtis Brothers. As a bass player, I was invited to audition for a project he had going with a remarkable guitarist (also from the Curtis Bros band) called Ibacus (Stretch - did I spell that right?). After years of playing rock and pop, I thought I was pretty good, until I stood next to these guys - bloody hell, I wasn't even on the same planet as these dudes. But I was lucky, I guess, because Stretch took me under his wing. I'm very grateful to him because, under his mentorship, I think I improved enormously, not just in my playing but my understanding of what music is, how cultural differences can interact and add to each other, how to be professional on tour and in the studio, and perhaps most importantly, how to improvise - for I will tell you that he was at his most astonishing when we jammed all night in a rehearsal studio in Chelsea. I've seen, heard and played with a lot of drummers in my time, but little came close to the fluidity and mastery Stretch had over his instrument, and the way he could respond instantly to subtle currents, musical hints, clues and directions that only after a couple of years did I start to pick up on. Truly, these were some of the best years of my life, and although I believe my debt was largely repaid, I still find he was the most profound and positive influence on my entire musical career. By the way, among the many things we did together, a couple of things deserve mention here; Stretch and I played in Ken Elliott's Seventh Wave, first in the UK at the legendary Marquee club, then on tour in the US in 1976. And the rehearsal studio in Chelsea where we jammed all night, every night, for a year, was owned by the astonishing Peruvian jazz guitarist Mano Ventura, who Stretch played with a great deal (being the only drummer who could keep up, I suspect). My best regards to you Stretch. And my love. Indeed he was a great drummer, I remember my grandfather telling me about him. He love how he played. Great article. Hey Stretch, Trying again to make contact with you. Please get back to me.Saw a video with you and Roger Chapman. You were wearing that signature apple with studs! U, me and Augie had them. Would love to hear from you. Young Saint. Just a small point, but Mainsqueeze worked with Bo Diddley on two European tours during 1984 and not as stated above.